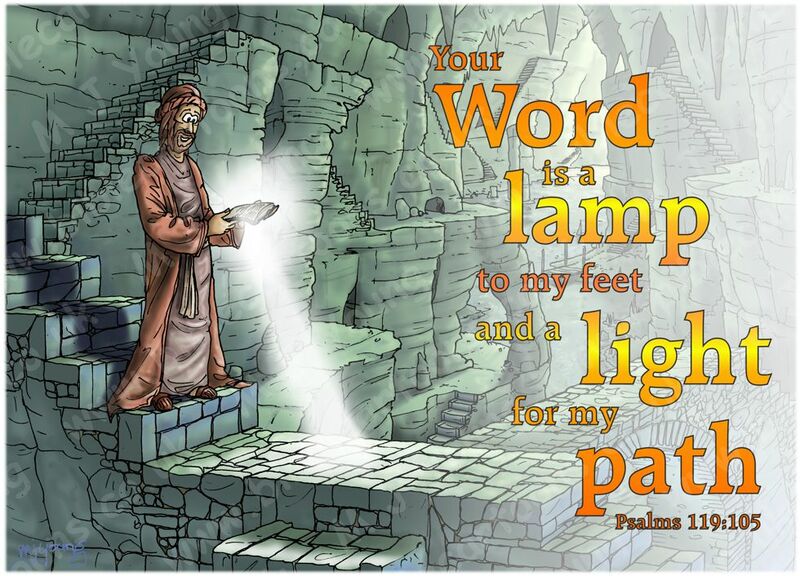 Bible Cartoons: Psalm 119v105 - in 6 different varieties! 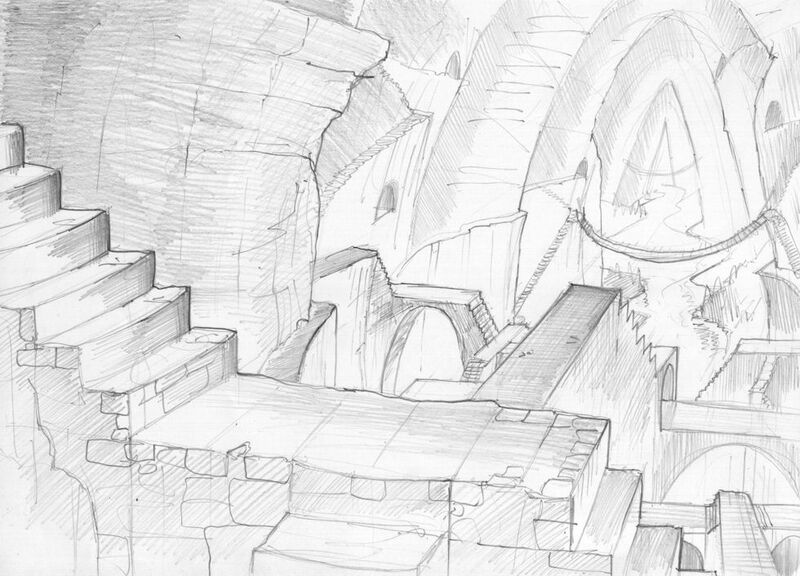 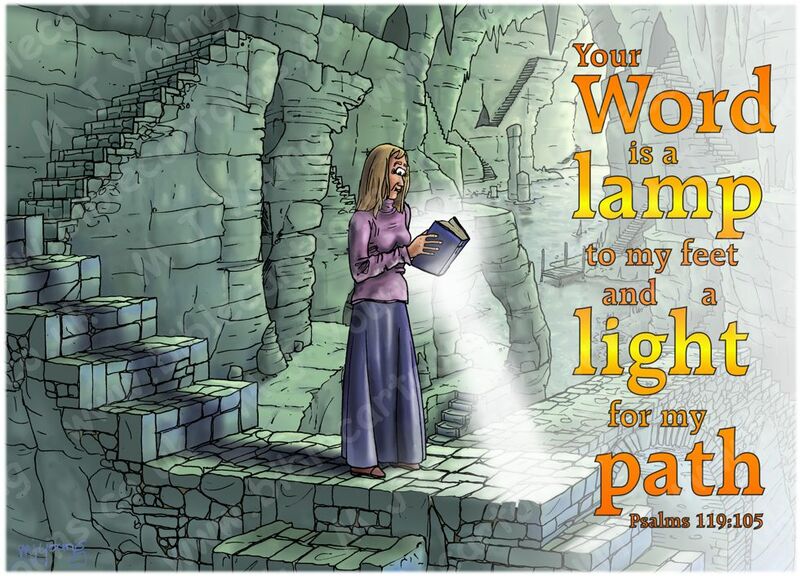 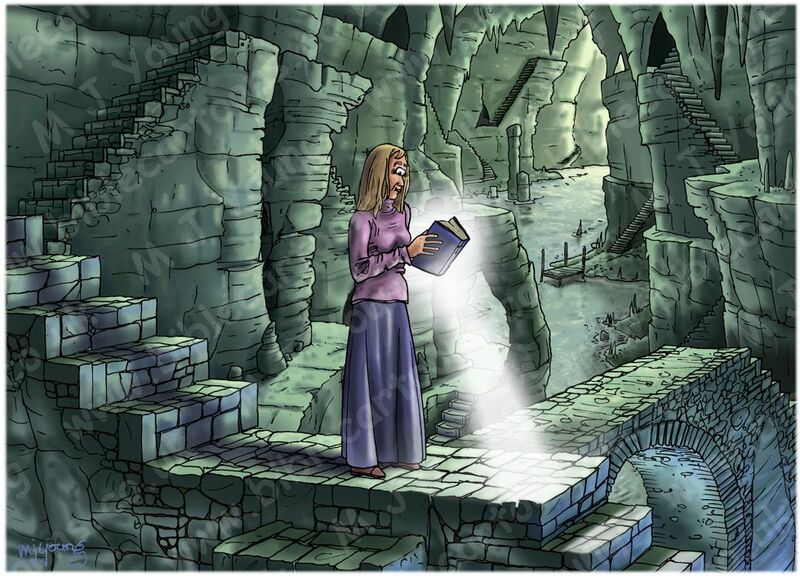 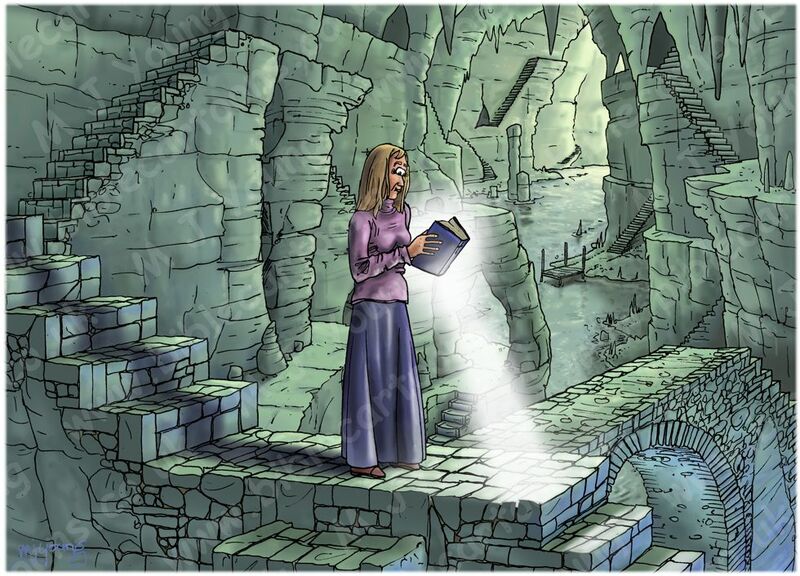 I’ve been busy drawing 6 variations of a Bible Cartoon for Psalm 119 verse 105 “Your word is a lamp to my feet and a light for my path.” The first three feature a woman standing on a stone walkway. 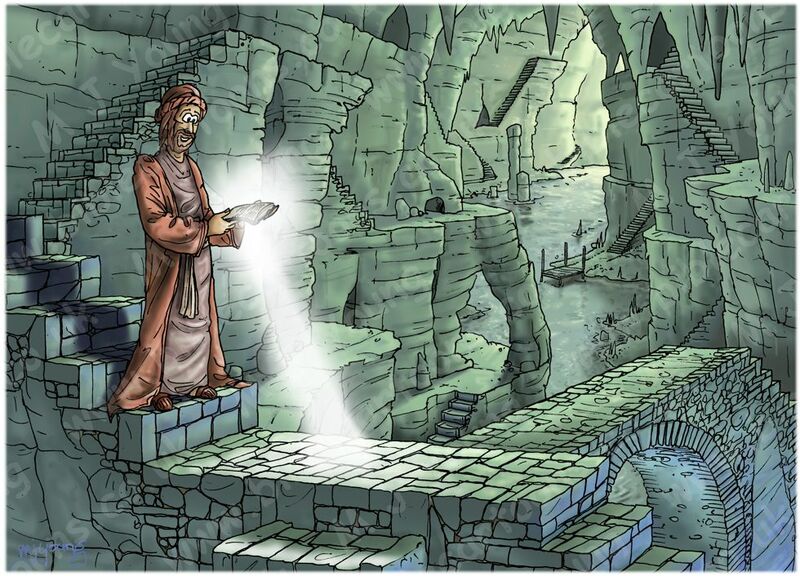 The last three feature a man standing on some steps.